Canadian, Nathalie Doucet enjoys an international career as a collaborator and vocal and opera coach. 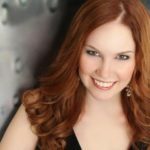 Her years of experience have seen her career rapidly grow and have allowed for her to coach and play for many opera companies, young artist programs and universities in Canada, the United States and Europe. Living in Europe since 2009, she has quickly made a name for herself becoming one of The Netherlands’ top coaches. Doucet works for many companies in and around the Netherlands (De Nationale Reisopera, De Nederlandse Opera and Opera Spanga) and she is a coach at the Dutch National Opera Academy where she works with Masters students in opera as well as principal coach and repetieur for the Zaterdagmatinee which is a concert series presented at the famous Concertgebouw in Amsterdam for live braodcast on Radio 4, t’ha National classical radio station in The Netherlands. 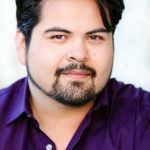 In the North America, Doucet held positions with many opera Companies and Music Schools including DesMoines Metro Opera (Music Director for Opera Iowa), Orlando Opera (Young Artist Program Director and Orlando Youth Opera Director, Rehearsal Pianist), University of Tennessee (Faculty Coach), Knoxville Opera Company(Principal Coach). She has been invited to be on faculty for many summer programs in Europe and Canada, among them: in Ontario, Canada, Summer Opera Lyric Theater and the Highlands Opera Studio, in Oberaudorf, Germany for Music Theater Bavaria and she continues to teach in Graz, Austria for the American Institute of Musical Studies, otherwise knows as AIMS, the Center for Opera Studies in Italy (C.O.S.I.) in Sulmona, Italy, all of them along side a very impressive Faculty of teachers and coaches. During her brief return to Canada from several years working and living in the United States in 2005, Doucet kept busy working for many companies in and around the Greater Toronto Area and Montreal such as: Opera in Concert, Toronto Operetta Theatre, Summer Opera Lyric Theatre, Opera York, Queen of Puddings and Tapestry New Opera Works and has been on Faculty at York University as a piano instructor and collaborative pianist and also as a coach and collaborator at the University of Toronto.